I am looking to do a full conversion on the car. Would like to source a set of centerlock hubs and wheels with all hardware. Looking for a plug and play solution. Just have to Dial it in! 88M3, I tried contacting whoever to purchase those, I got no reply. I am interested if they are the modified version to fit the street hubs. First you need to remove your existing front hub bearings and rear hubs and have them re-drilled and shaved flat on the back to accomodate the pin guide bolts, then you'll have to do the same to the brake rotor hats, my local machine shop charged me around $800 for this job, and trust me you don't want to just drill these in your garage. Then you'll have to source the guide pins, the bolts and safety nuts that secure the centerlock hub to the hub/bearings, the centerlock hubs, the BBS lock nuts, the socket and ~700# breaker bar and obviously the center lock wheels. So don't fall in the mistake most guys do and jump on the replica hubs thinking it's a plug and play. I've spent ~$4k so far and haven't bought the wheels yet which should be around $5k for a new set. The modified ones with the relief for the hub bearing lip. If you have the first version then you'll also have to machine the hub bearing lips so the center lock hub sits flush. Is there anyone who has actually done the conversion using the modified version that can attest to what is needed to make these work? Ok Cool. Thanks for responding quickly and all the great info. Do you have any pics of the install process or what they look like on the car now? I'm sure there's a ton of people that would like to see it all together. I would love to see it myself as I also purchased the modified version and didn't know what else was involved to install a set. I've recearched a little but found no answers on this topic and would definatly help everyone even more deciding wether to buy a set or not. Again, great info and please keep it coming. This is an awesome topic! They are a necessary evil for pro race cars that need to make pit stops, but if you don't need to have them for either (a) historical authenticity of a vintage race car, or (b) you are going endurance racing where pit stops matter,,, it would be insanity to voluntarily put centerlocks on a car. Last edited by jimmy p.; 04-25-2015, 05:01 AM. 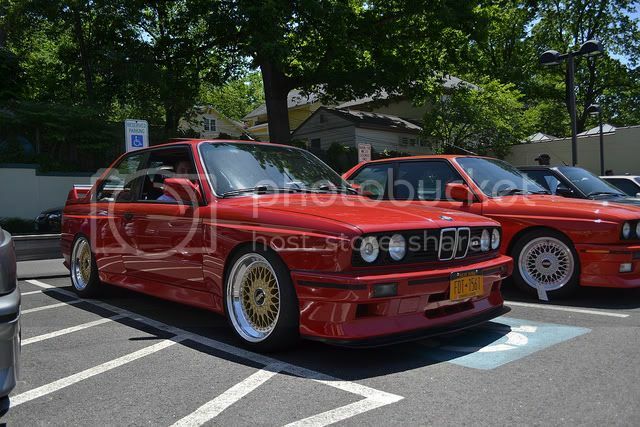 92 E30 M Technic Cabrio - S14 POWERED! I'd hate to hijack Robb's thread here as he's trying to decide if he wants to buy a set or not. Information is what we need here. In reality, who really cares if some people want to convert there cars to centerlock. I agree, it's insane but not because it's just unnecessary. Besides, it's not permanent. There are people who like to make there cars unique and do something out of the norm. I've seen people rip out perfectly good s14 engines on a low mileage e30 m3's and swap it out for a corvette LS engine. Or even seen people paint and pinstrip the undercarriage of there transmission tunnels for the shear fact that they can eat off of it if they wanted to. Now that to me is insanity Lol. But, it's their car and they can do what they want. For me it's about creating an e30 m3 into a car that shows it racing heritage through tasteful upgrades (if we can call it that) such as centerlocks. Yes, it's damn pricey but I'm certainly not the type of person to brag about what I have or even be a show off. Hell, I haven't even put up pictures of my car since I joined s14 and I've done some upgrades since then! Anyway, just as others post what they feel, I mean no disrespect to anyone who feels different. Just my 2 cents. Not cheap, but then you get what you pay for and these are done properly. all the information shared is appreciated, I would be interested to hear from someone who actually has done the conversion and knows what it takes. Just so everyone knows, I have purchased a set and will have my techs figure out what we need to make them work if needed. Right now I am working with BBS motorsport to produce a centerlock wheel similar to the E07 but for the E30 in 18" sizing. I will let you know how it comes out, but I would be willing to hear more input on this and see what others have done. If you have done it, share it, post photos, lets see what its all about. Kiko care to chime in at all? Just saw, this gents, hence not chiming in earlier. PipeM3 is pretty much spot on. I know people use these for road use but they are not supposed to,,, having said that, mine are the only ones that will allow you to fit a 5-lug flange without shaving the lip which in practice makes it all reversible. There is some work involved (drilling, etc.) but I'm no longer advertising these for the concerns that PipeM3 raised. I do produce them when asked for though. My apologies if my directions were vague which I'm sure they were. Alright, well I got my hubs in, going to be doing this, but need to find a set of wheels that I like. I am specifically looking for the BBS Re142 18" wheels, if ANYONE has a set please let me know. The set that was for sale on this forum is gone and sold. I am on the hunt and will let you know how this goes. All times are GMT-12. This page was generated at 09:40 PM.